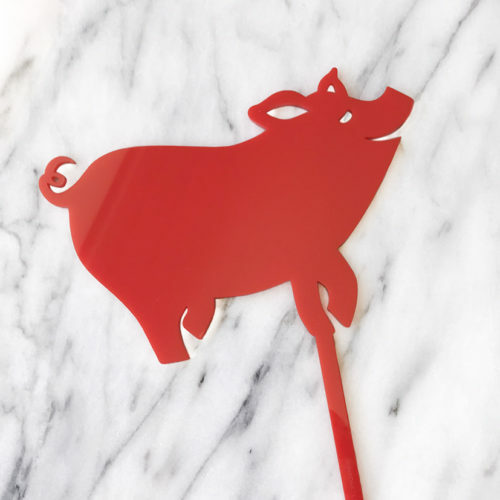 Our 2019 Lucky Pig Cake Topper is the perfect addition to any Lunar New Year cake! Available in gold mirror, red and clear acrylic. 15cm wide x 20cm high including a 9.5cm long spike.